Ever wondered how it felt after singing as a group or during Christmas even if it was just one carol? Singing, it is said, is truly satisfying even when it’s mediocre. But it was not the quality we were after when The Esplanade Co Ltd approached the Alzheimer’s Disease Association late last year. They offered us their Sing Out Loud! programme and we were only too thrilled to engage our clients in another stimulating activity for the brain especially since numerous studies have shown that singing literally changes your brain. What’s better is that you don’t have to be a good singer to reap the rewards. It’s like a magical drug that soothes your nerves and elevates your spirits. Clients embarked on this musical journey in February, where regular workshop sessions enabled them to reminisce songs from the yesteryear. Volunteers from The Esplanade Co Ltd joined in the sessions to guide and support our clients with the various activities. 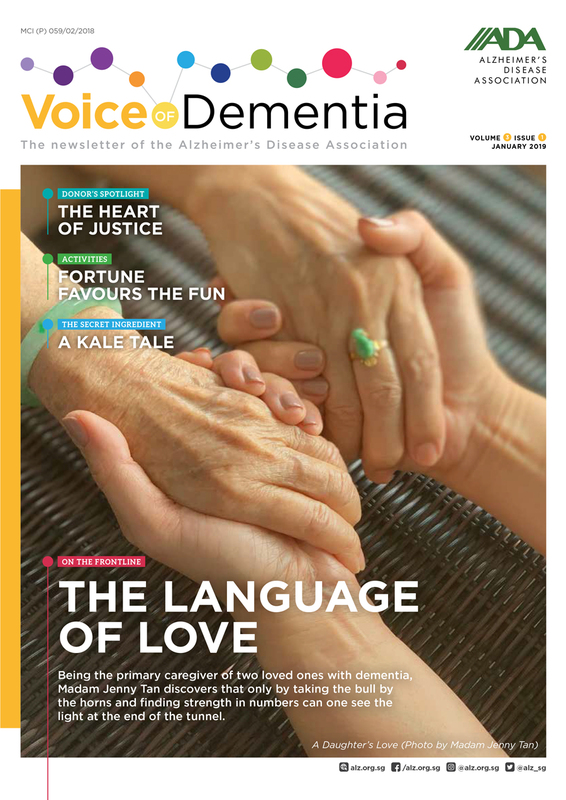 These sessions also included exercises to help persons with dementia utilise their visual, auditory and tactile senses, while also lengthening their attention and retention span. There were also opportunities for participants to create their own rhythms and beats using percussion instruments of their choice. 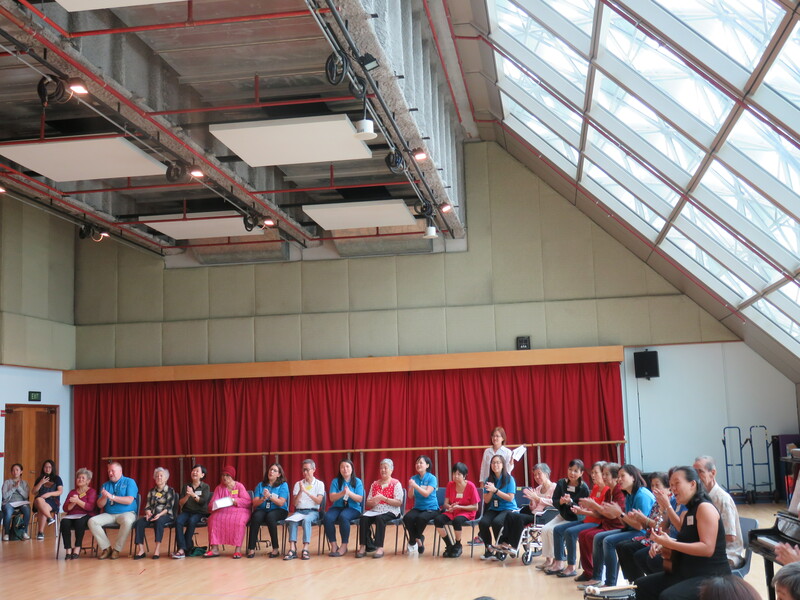 The eight and final workshop was held at the Esplanade Theatres on the Bay on 31 March when 21 clients from the New Horizon Centre at Toa Payoh “performed” for the first time. It was truly special for many of our clients and their caregivers. Our clients were also glad to have had this platform to pursue their musical interests. 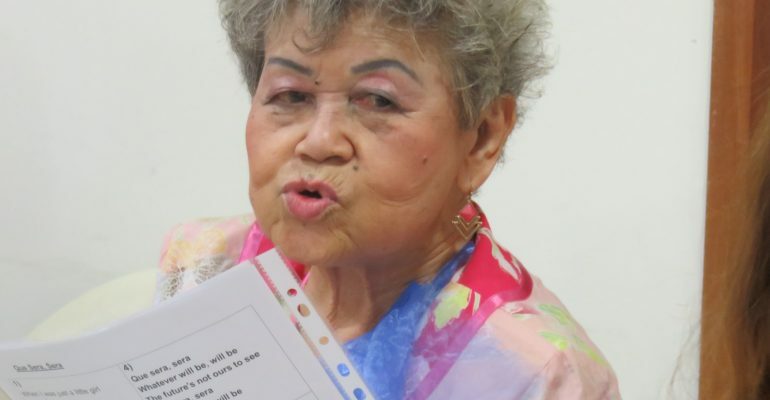 Madam Margaret Tan Geck Kwan, 78, expressed that singing makes her feel “great as she feels young again”. Ms Angelina Choo, Director, Urban Music Productions, who was appointed by The Esplanade Co Ltd to conduct Sing Out Loud! shared that the programme ensures “direct engagement of all participants, regardless of their skills, through active inclusion and a varying level of challenges for different participants. We use social and learning strategies to enable music-making”. The workshops, conducted in a group setting, not only enhanced creativity, but also facilitated social interaction. 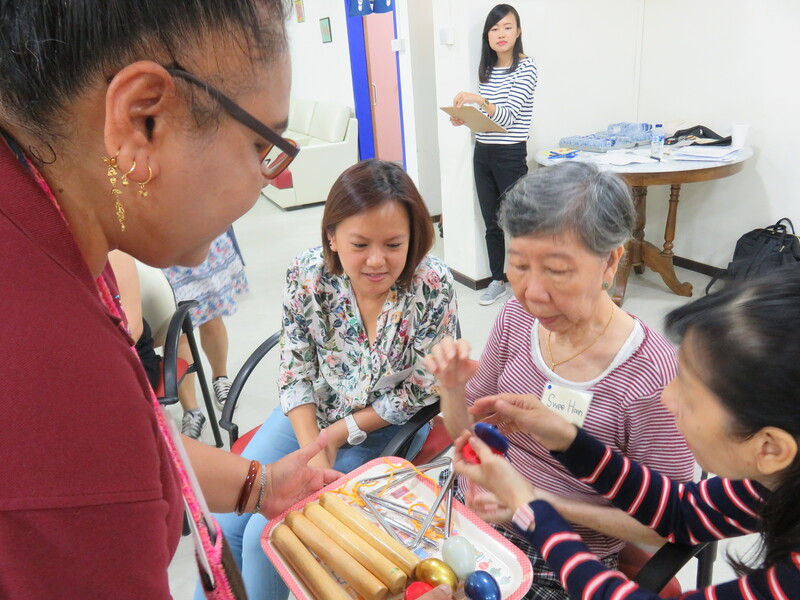 Another client, Madam Liau Peck Yong, reinforced the importance of this social engagement, “I love to sing in a group as singing by myself is lonely.” She also enjoyed elements of movement and dance during the sessions.